Rainbow Metal bunk bed is great and colourful addition to any kid's bedroom. The will help you make the most out of your space and at the same time is very beautiful as finished in unique combination of primary colours. 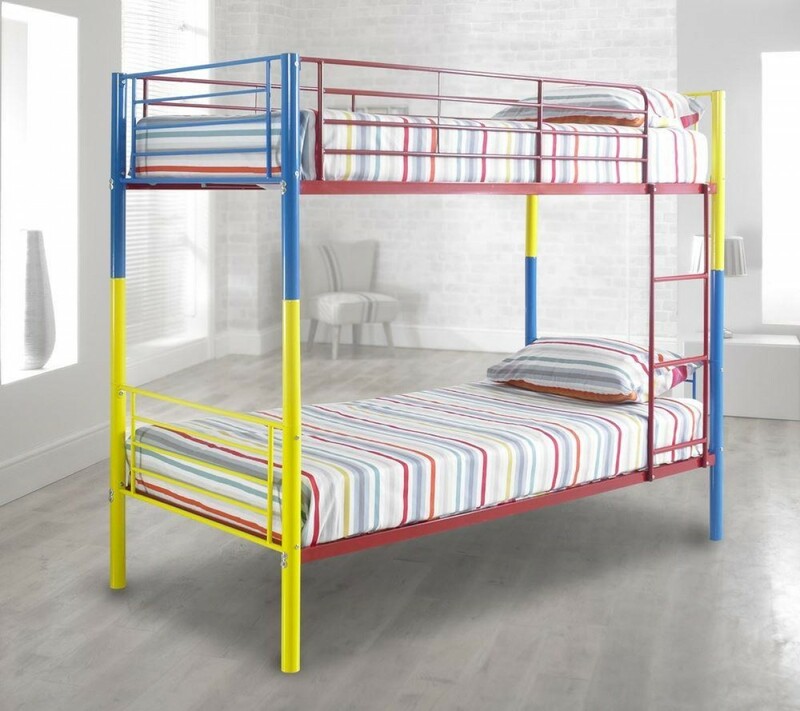 This multi-coloured bunk bed has robust and sturdy metal construction with simple, clean vertical slat design and round tubular legs. Metal side guard rails will keep your child safe on the top bunk, and an attached ladder makes it easy to climb up and down. The bed frame comes flat packed for easy storage and self assembly. Note: It is advised, the top bunks are not suitable for children under 6 years old. Lower bunks are not suitable for children under 3 years old. All our bunks comply with the requirements of UK bunk beds (Entrapment Hazards) (Safety Regulations 1987) and the European Standards (EN747-1). The recommended weight maximum for the Rainbow Bunk Bed is 200kg with 90kg being on the top bunk and 110kg being on the bottom bunk.